The Theme Parks get Christmassy! Christmas is a great time to visit any of the big theme parks. Chances are they’ll be even MORE fun and festive than usual, and because it’s out of season, you may find that the crowds are less and the queues are shorter! Christmas has arrived in a big way at the Disneyland parks, with festivities taking place until 6th January 2013. See the toys come to life and join Santa’s elves, Mickey and his Disney friends for the spectacular Disneyland Paris Christmas Parade, or head to Town Square as evening falls for the Christmas Tree Lighting Ceremony, where one lucky child gets to illuminate the dazzling Christmas tree! And don’t forget to say hello to Santa himself at the Santa Claus Village where you can post your wish list from the official Santa Claus Post Office! Every land in PortAventura is getting the Christmas treatment! You can visit the haunted forest to find Santa’s secret grotto, sample hand-made Christmas delights and enjoy carol singing and festive dancing. There are also loads of festive shows and entertainment to enjoy; including “Can Can Christmas” and the “Christmas Country Band” in which the Far West’s very own country band sing country songs with a festive feel! Don’t miss the Woody on Ice dance show, where Woody and his friends gather in the magical woods to make a snowman, or Clara’s Trip, in which the Nutcracker’s main character tries to find Santa with the help of a wizard and a harlequin. Meet all the colourful characters of Loro Parque this Christmas! The park is home to over 700 animals and some amazing live shows featuring sea lions, dolphins, orcas and parrots. Loro Parque also boasts the world’s biggest replica of the Antarctic, so you’re guaranteed to feel Christmassy with the added bonus of being able to walk back out into the soaring Tenerife temperatures! Whoever knew you could visit a water park at Christmas? But you can – and it just happens to be the biggest aquatic theme park in Europe! 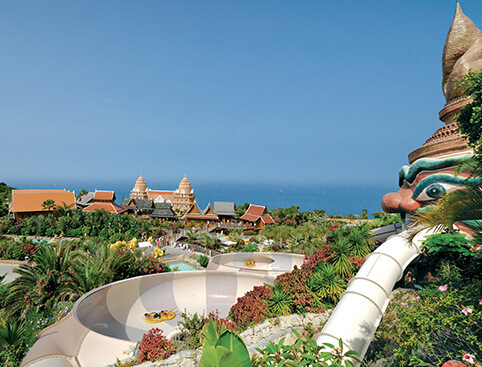 Even if you’re not a swimmer, there’s something for everyone at Siam Park, whether it’s plunging down a near-vertical drop, experiencing the sensation of zero-gravity, floating dreamily down a lazy river or simply relaxing in the beautiful Tenerife sun. Celebrate the holiday season at Mickey’s Very Merry Christmas Party! Join all your favourite Disney Characters in a festive celebration filled with spectacular fireworks, complimentary cookies and cocoa, live entertainment and a very special holiday parade featuring Santa Claus himself! 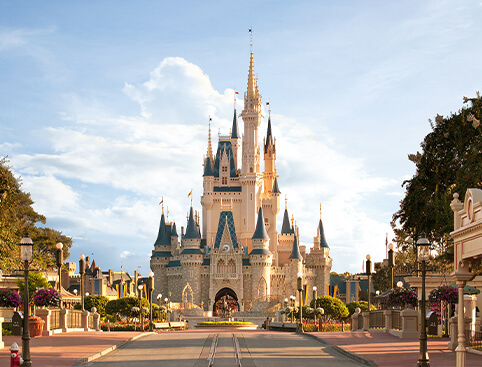 Please Note: This event is not included with your Walt Disney World admission ticket. An additional ticket will be required to attend this event, and tickets sell out quickly. Whichever park you visit, you’ll be sure to have a great time!